Get some historical perspective at St. Mark's Square and Basilica di Sant’Antonio - Basilica del Santo. Get a sense of the local culture at Doges' Palace and Peggy Guggenheim Collection. Take a break from Venice with a short trip to Scrovegni Chapel in Padua, about 42 minutes away. There's much more to do: contemplate the waterfront views at Canal Grande, admire the striking features of St Mark's Campanile, don't miss a visit to Basilica di San Marco, and take in the views from Ponte di Rialto. For traveler tips, photos, and more tourist information, refer to the Venice trip builder. Madrid, Spain to Venice is an approximately 6-hour flight. You can also drive; or take a train. Expect little chillier weather when traveling from Madrid in July: highs in Venice hover around 33°C, while lows dip to 23°C. Finish your sightseeing early on the 18th (Tue) to allow enough time to take a train to Florence. Your cultural itinerary includes sights like Galleria dell'Accademia and Uffizi Gallery. Your inner history buff will appreciate Cathedral of Santa Maria del Fiore and Palazzo Vecchio. Go for a jaunt from Florence to Siena to see Siena Cathedral about 1h 25 min away. Next up on the itinerary: don't miss a visit to Piazzale Michelangelo, enjoy breathtaking views from Campanile di Giotto, admire the masterpieces at Chiesa e Museo di Orsanmichele, and get engrossed in the history at Basilica of Santa Croce in Florence. To find traveler tips, ratings, more things to do, and tourist information, refer to the Florence trip itinerary planner. You can take a train from Venice to Florence in 2.5 hours. Alternatively, you can drive; or fly. Expect somewhat warmer weather when traveling from Venice in July: highs in Florence hover around 37°C, while lows dip to 21°C. Finish up your sightseeing early on the 21st (Fri) so you can catch the train to Rome. Popular historic sites such as Palatine Hill and Colosseum are in your itinerary. 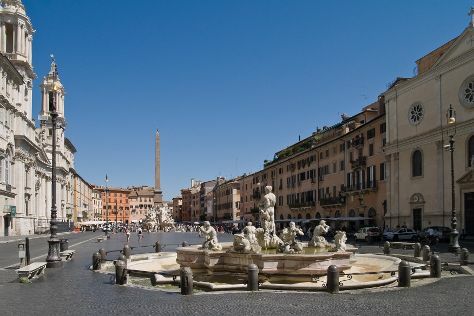 Your cultural itinerary includes sights like Piazza Navona and Vatican Museums. Go for a jaunt from Rome to Tivoli to see Villa Adriana about 36 minutes away. There's much more to do: admire the landmark architecture of Pantheon, take in the architecture and atmosphere at St. Peter's Basilica, don't miss a visit to Trevi Fountain, and contemplate the long history of Roman Forum. To see photos, where to stay, and other tourist information, read our Rome sightseeing planner. You can take a train from Florence to Rome in 2 hours. Other options are to drive; or fly. In July in Rome, expect temperatures between 36°C during the day and 24°C at night. Finish your sightseeing early on the 24th (Mon) to allow enough time to drive to Ravello. Ravello is a town and comune situated above the Amalfi Coast in the province of Salerno, Campania, southern Italy, with approximately 2,500 inhabitants. Popular historic sites such as Gli Scavi Archeologici di Pompei and Villa Cimbrone Gardens are in your itinerary. Visit Fornillo and Lido Capo di Conca for some beach relaxation. 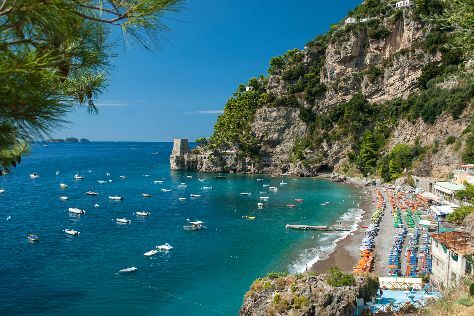 Change things up with these side-trips from Ravello: Bagni d'Arienzo (in Positano) and Teatro Grande (in Pompeii). There's lots more to do: contemplate the long history of Villa Rufolo, examine the collection at Museo della Carta, pause for some serene contemplation at Duomo di Sant'Andrea Apostolo, and take in the spiritual surroundings of Duomo di Ravello. To see ratings, reviews, and more tourist information, read our Ravello travel planner. Traveling by car from Rome to Ravello takes 3 hours. Alternatively, you can do a combination of train and bus; or take a bus. While traveling from Rome, expect slightly colder days and a bit warmer nights in Ravello, ranging from highs of 33°C to lows of 28°C. Finish your sightseeing early on the 27th (Thu) to allow enough time to travel back home.